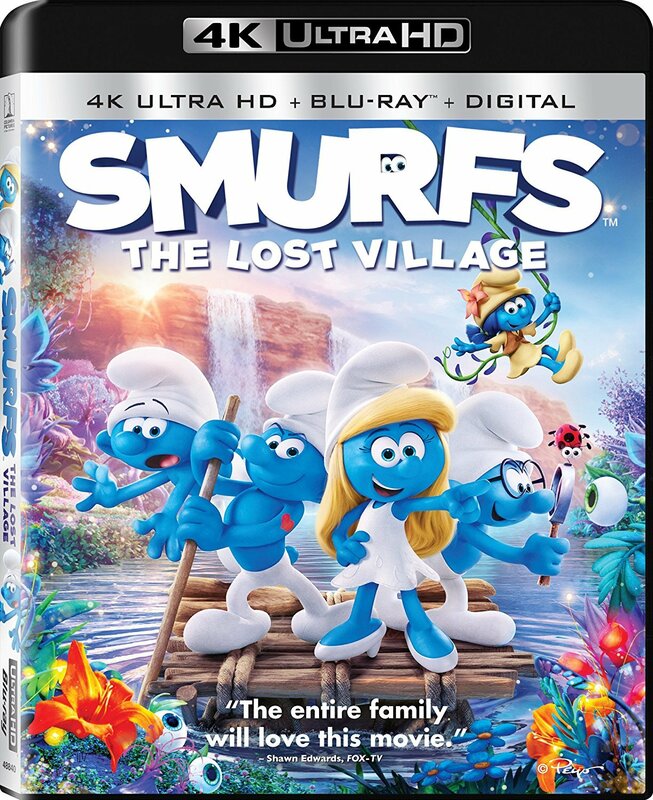 Smurfette and her best friends Brainy, Clumsy and Hefty set on an exciting and thrilling race through the Forbidden Forest filled with magical creatures to find a mysterious lost village before the evil wizard Gargamel does. Embarking on a rollercoaster journey full of action and danger, the Smurfs are on a course that leads to the discovery of the biggest secret in Smurf history! Animated films in this format always look fantastic and this film is no different. The clarity of the film looks great and you can see so much detail in pretty much every scene. There is one thing that I did notice however. The color palette does look a bit more dim and not as vibrant as I would’ve expected and the standard Blu-ray does look better in that aspect but everything else about release is very slick. Demi Lovato Meets Smurfette – The character interviews her own voice actor. Lost Village Dance Along – Dancers bust a move to one of the songs from the film. Smurfify Your Nails – A small tutorial on how to make your nails match certain parts of the film. Kids at Heart! The Making of Smurfs: The Lost Village – A really nice look at the production of the film. The cast and crew talk about the whole process and what they took from the experience. Making the Song “You Will Always Find Me In Your Heart” – Composer Christopher Lennertz discusses how the song became such an integral part of the film. The Sound of the Smurfs – The feature looks at the importance of music and sound design in the film. The Lost Auditions – A few actors audition for parts they didn’t perform. Baker Smurf’s Mini Kitchen – The culinary Smurf watches someone make tasty treats. Draw Your Favorite Smurfs – A small tutorial on drawing Smurfette, Brainy, and Clumsy. Deleted Scenes – Only a few scenes here that are presented in a very early form. This entry was posted	on Wednesday, July 19th, 2017 at 7:43 pm	and is filed under Reviews. You can follow any responses to this entry through the RSS 2.0 feed. You can leave a response, or trackback from your own site.